An epic Civil War Series titled Mercy Street is set to join PBS’ stellar Sunday lineup in Winter 2016. The story is inspired by memoirs and letters from real doctors and nurse volunteers at the hospital in Alexandria, the longest occupied Confederate city of the war. The series is being shot in Richmond and Petersburg, Virginia. Mercy Street follows the lives of two volunteer nurses on opposing sides of the Civil War — New England abolitionist Mary Phinney (Mary Elizabeth Winstead) and Confederate supporter Emma Green (Hannah James). The Green family’s luxury hotel in Alexandria, VA, has been transformed into Mansion House, a Union Army hospital tending to the war’s wounded. PBS assures viewers that the writers and producers of Mercy Street collaborated with historians and medical experts. These experts include James M. McPherson (Battle Cry Of Freedom: The Civil War Era), Dr. Stanley Burns (medical adviser to the HBO/Cinemax series The Knick), Shauna Devine (Learning From The Wounded, The Civil War And The Rise Of Medical Science), Jane Schultz (Women At The Front: Hospital Workers In Civil War America), George Wunderlich, director of the National Museum of Civil War Medicine, Audrey Davis, director of the Alexandria Black History Museum, and Anya Jabour (Scarlett’s Sisters, Young Women In The Old South). 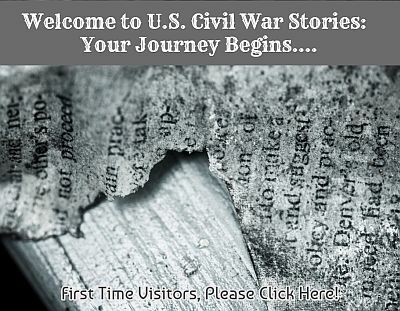 ©2019 U.S. Civil War Stories.